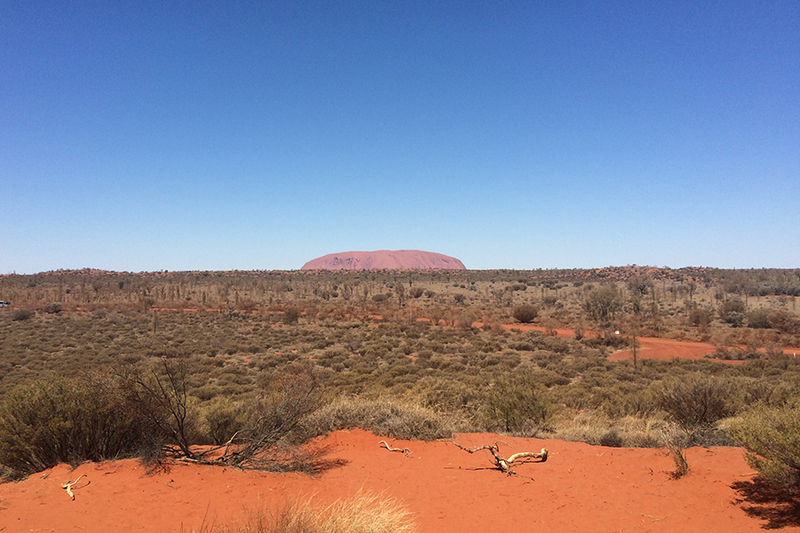 Ayres Rock AKA Uluru is definitely one for the bucket list. We just recently took a trip to this incredibly beautiful sandstone rock formation in the heart of our home, we call, Australia. 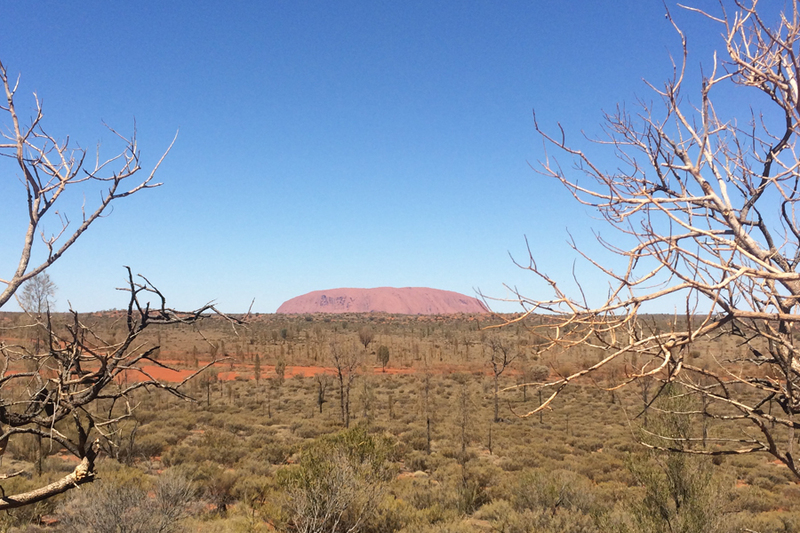 Kata Tjuta and Uluru are the two major features of the Uluṟu-Kata Tjuṯa National Park. Uluru is sacred to the Anangu, the Aboriginal people of the area and it is quite frowned upon to climb Uluru – so we didn’t. 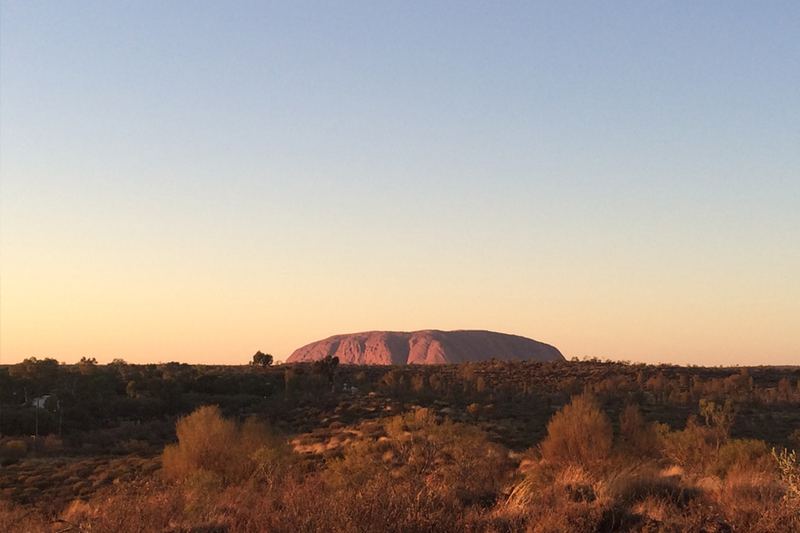 Uluru makes for an extremely photogenic natural feature that is especially beautiful during both sunrises and sunsets when the light brings out the red ochre hues that “the rock” is famous for. It is quite amazing how many times the colour can change throughout the day. It’s spectacular. Rock aside, there are loads of adventures you can get involved in and we were fortunate enough to have a friend recommended Tali Wiru. Mark my words, the most incredible dining experience on the planet (OK we haven’t been to every single restaurant on the planet but I can imagine it would be pretty close). 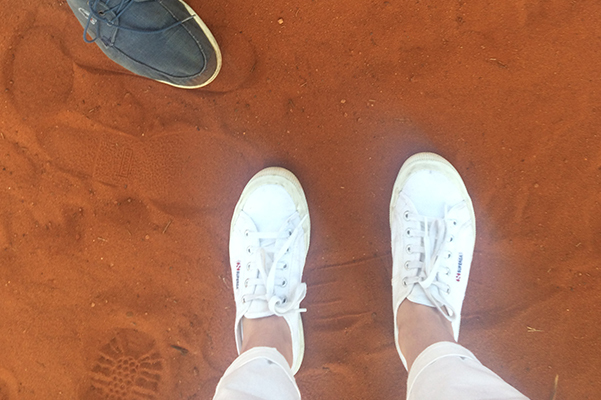 Tali Wiru means beautiful dune in local Anangu language and encapsulates the magic of fine dining under the Southern Desert sky. 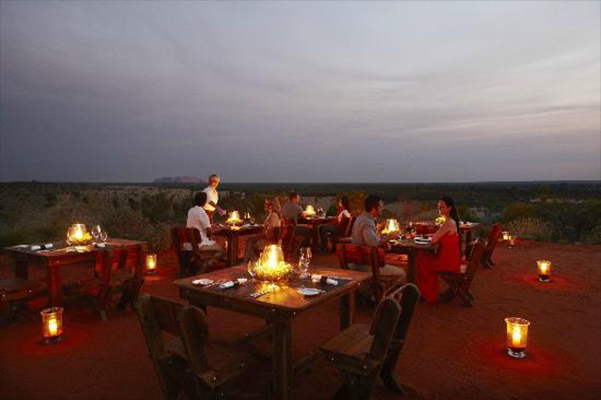 Instead of walls, this open-air restaurant had magnificent views of Uluru and the distant domes of Kata Tjuta, and for unique ambiance there was the stillness of the desert at night. It was unbelievably quiet. So peaceful. So spiritual. Mesmerising. 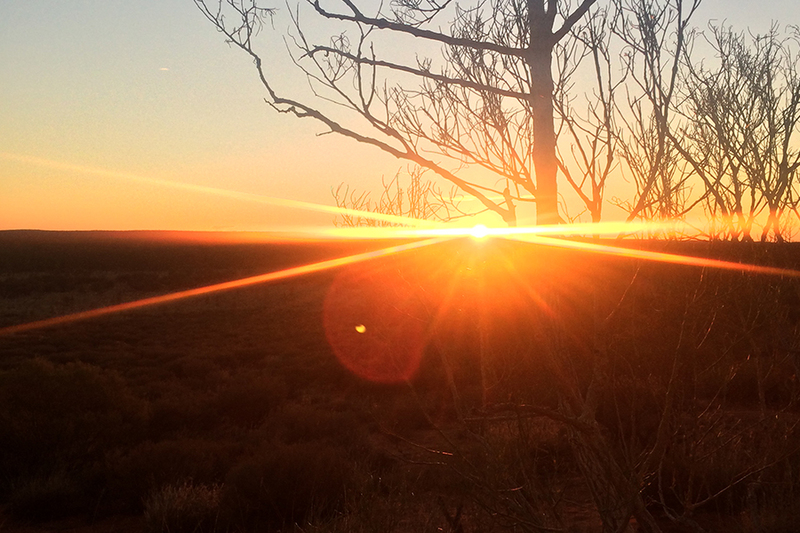 Our introduction to this incredible experience – Champagne (French which made it that much better) followed by canapés served as the sun sets to the sound of a didgeridoo (actual name Yidaki). A standout was the Emu Proscuitto – on another level and something we had never tried before. As day turns to night, we stroll to the top of the dune for a table d’hote four-course dinner, matched with premium Australian wine. The menu included mouth-watering cuisine such as Premium Grade Paroo Kangaroo Rillettes, Darling Downs Wagyu Fillet, Glacier 51’ Toothfish which was my favourite and Quandong pudding. After dinner, an Indigenous storyteller told us stories of the world’s oldest living culture. They dimmed the lights and presented us with an explosion of knowledge about the sky, the stars and astronomy. The best part of this experience is that no more than 20 guest at any one time – so intimate. In fact there was probably only 16 from memory. Once storytelling was finished we were escorted down to the campfire and served hot chocolate and cognac. The smell of burning wood, chilled breeze, slowly sipping on cognac and hot chocolate with the full moon shining ever so bright over Ayres Rock – no other words to describe it but heaven. Who would have thought you could fine dine in a dessert? Not I! It was purely magical and a moment in time that will never be forgotten.